I had the pleasure of meeting the lovely, hilarious and kooky (in the best possible way) Jodie at The Stitches and Craft Show earlier this year. 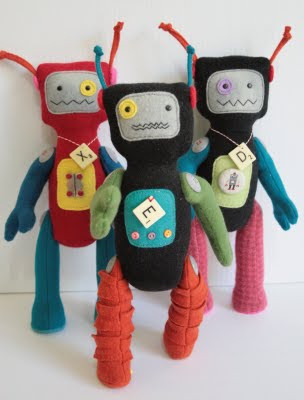 Jodie is a talented crafter of softies and her blog Ric Rac always makes me smile. Often I laugh out load. 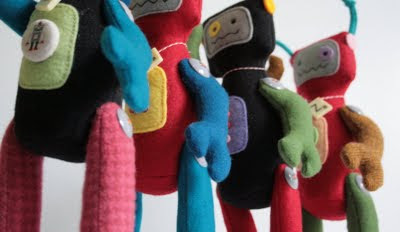 Jodie creates stories which feature her softies in wonderful little sets. Go on over to see the rest... and try to tell me it's not laugh out loud funny. Also don't miss Jodie's Etsy shop.